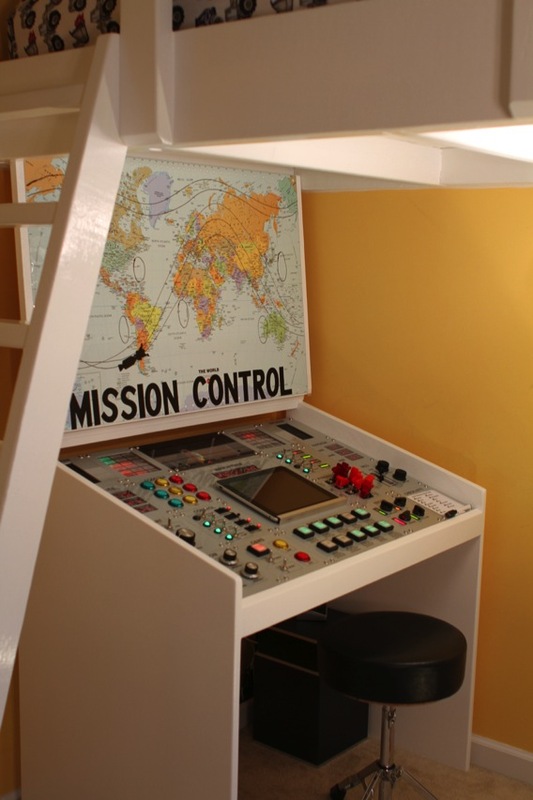 Inspiring Maker Dad Project: Interactive Apollo Program-Style Mission Control Desk To Inspire His Sons! #FathersDay « Adafruit Industries – Makers, hackers, artists, designers and engineers! One of the most impressive Maker Dad projects this past year — and really almost any year! — was Jeff Highsmith‘s Mission Control Desk he made for his sons to use so that they could play “Space” together. Re-watching the video now is no less moving than when we saw it the first time — the incredible efforts one dad went through to make something delightful to bring the excitement of the NASA space missions from his own childhood right into an interactive panel and sequence to inspire his two sons. When Adafruit started offering a free Raspberry Pi with orders over $350, I thought I’d never be able to justify ordering that many components at once. 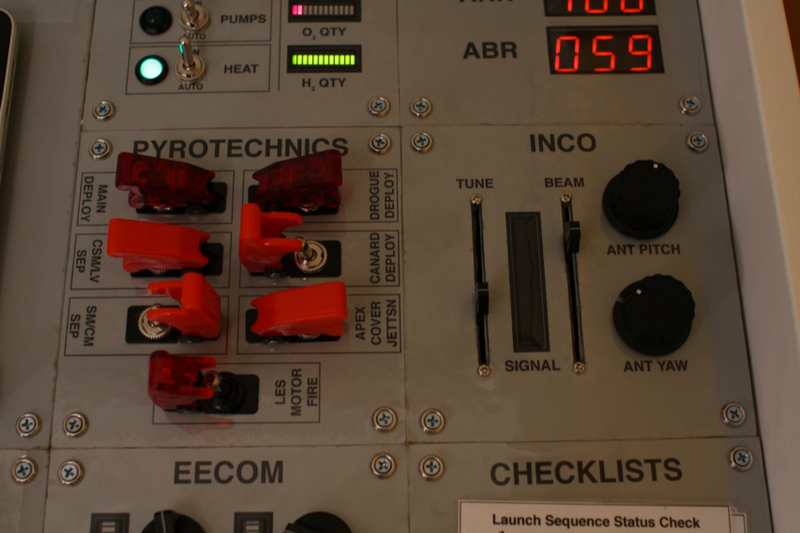 I asked myself, “what could I possibly even do with $350 worth of switches, LEDs, breakout boards, etc?” Months later, I dreamed up a project big enough in scale that I not only crossed the free Pi threshold, but I had a blast building and learned a ton in the process. I built a homework desk for my son that flips up to reveal a Mission Control style console built from a big box of Adafruit parts, among other things. I thank you for the excellent selection and service, and I thank John De Cristofaro for his terrific guide to photographing LEDs, which helped me show off the 12-segment bargraphs to their full awesomeness. 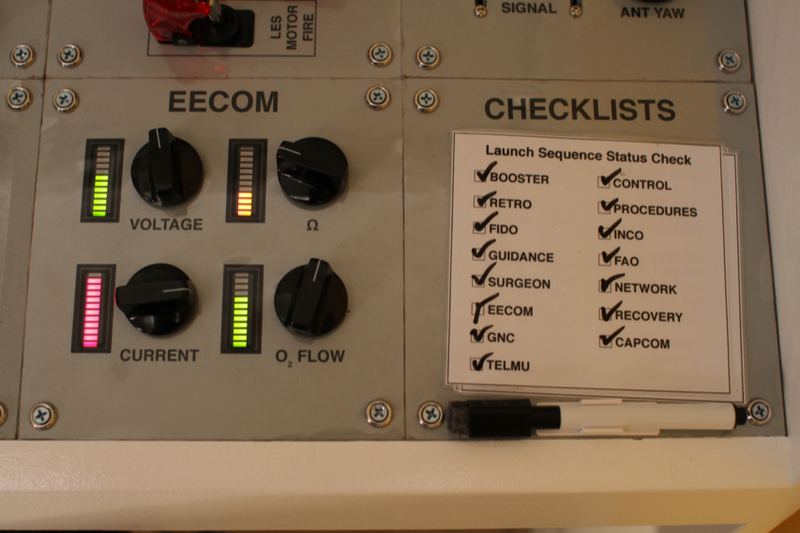 Incidentally, I did the build right at the tail end of the bargraph availability, and didn’t order enough in time, so if you see the blank spot in my INCO panel, it will soon be filled when I order another pair of those cuties. Thanks for bringing them back, I’m intrigued to try the i2c controller with them.